Metasploit has a ability to install a backdoor on remote pc to maintain access after the exploitation . Through the metsvc module , you can create a persistant backdoor on a remote PC . The ' metsvc ' service require no authentication , it means if anyone find our backdoor they can also access it . This command will show you the options . To install backdoor use the command . In the below image you can see the files are uploading on the remote system . 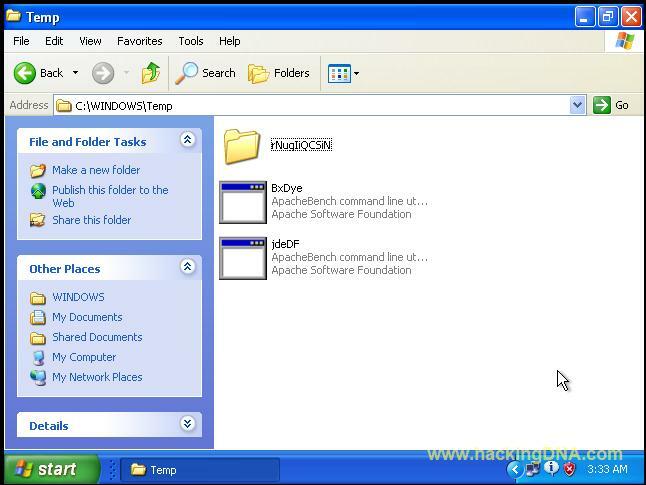 In the below image you can see the folder named rNuqIiQCSiN is successfully uploaded in the Temp directory of Remote PC . Here you can see the metsrv dll and exe files . After setting the backdoor successfully on the remote system , now I am going to restart remote PC . The reason behind the restarting is to check ,wheater the backdoor i have installed will worked or not. Now time to Accessing the Backdoor that we created . To access the Remote PC again. We have to use the multi_handler with Payload . To checking all the fields , use the show options command . In this step you have to Set the Remote Host & Local Port . In this step for the last time check it again all the fields . To check we again use the show option again . Now this is the Final Step , you just have to exploit the target to get the meterpreter session again . Enter the Command : exploit and hit enter . And finally we get the meterpreter session again . 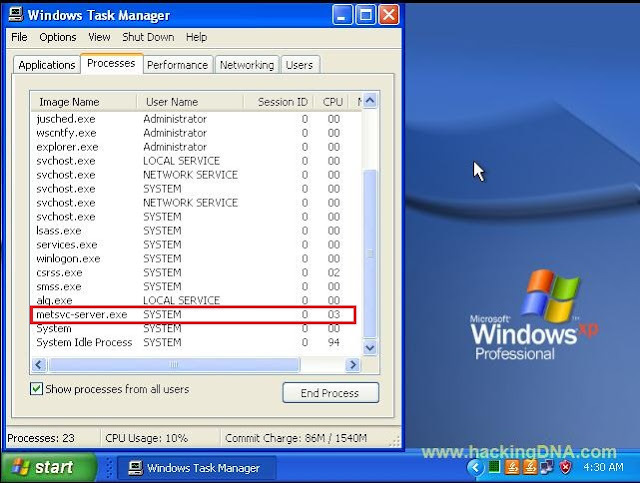 On Windows Task Manager , you can see the meterpreter-server.exe process is running on your SYSTEM . Q. Why we use port 31337 ? A. Because port is used for all the backdoor services . So if you use different ports it will not create a meterpreter session when you exploit . So remember to use the port 31337 . Also 31337 is a hackerz spelling of 'elite', meaning 'elite hackers'. I hope you like this tutorial . Any feedback are warm welcome . 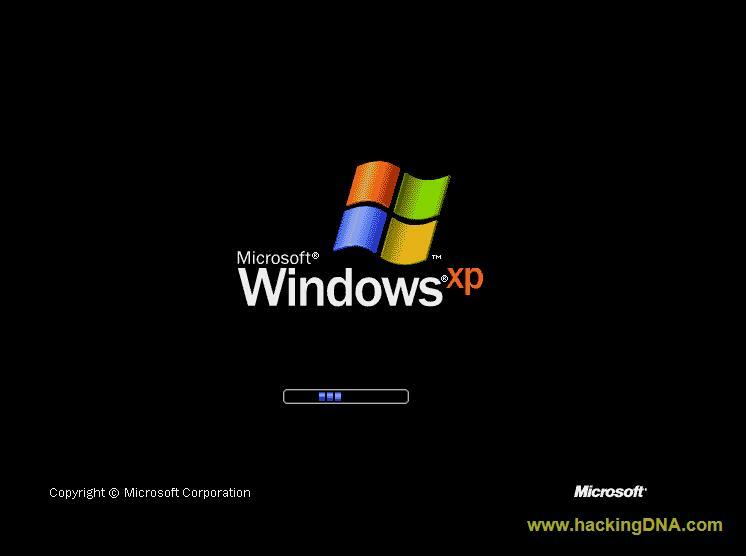 keep following www.hackingdna.com because lots more hacking/penetration Testing tutorial still to come . Hey bro.. Your site provide me Nice guidance.. I am running BT5 on VMWARE.. but it not detect my Wireless Adapter... can u help me to connect that inbuilt hardware with VMWARE..? Most Welcome to www.hackingdna.com . Brother to detect your Wireless Adapter you have to run your backtrack live or run it through your hardisk . Via VMware it will not detect your Wireless Adapter. Nice Website i like it..
hey bro thnxx for ur all the stuffs bcz it has helped me a lot .....As m new to BT thr4 m gttng error while using run metsvc -h command its showing bad command ............plzzz help me bro.